A very well made cabinet fitted inside and with full width opening doors that slide into the sides should you wish to conceal your TV or computer screen inside rather than on top. Price includes a custom made sheet of glass to protect the top , particularly from drink spills. 135 cms wide x 56 cms deep and 105 cms high. Computer Scale Company. Ohio USA. 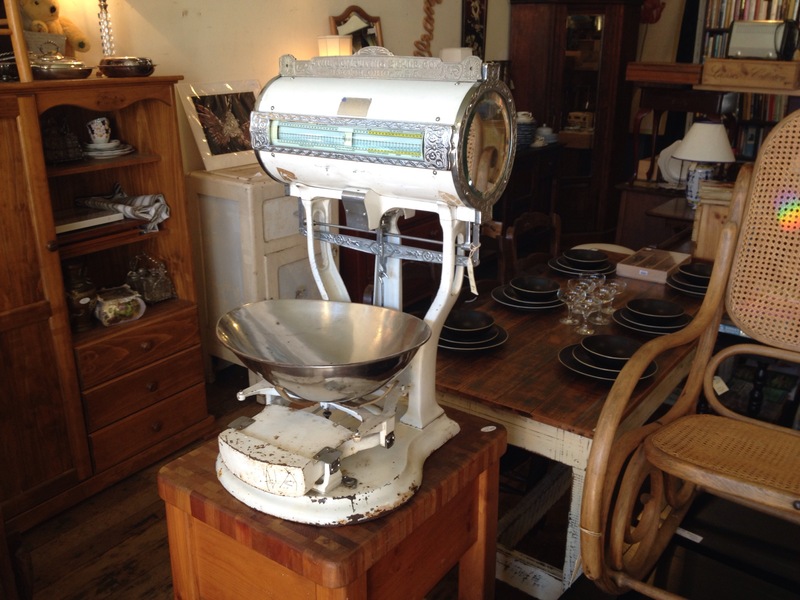 1920’s grocery scales, excellent order. $980.